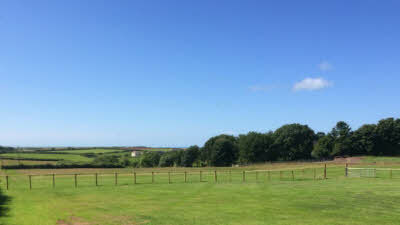 Woody Kiln Farm is a Club Certificated Location set on a small Farm in the heart of the Pembrokeshire National Park – the only coastal National Park in the UK. The site is located on a large field of which approximately 0.75 acres and a further 1.25 acres is lawned and accessible to CL users with a distant view of the Atlantic Ocean. 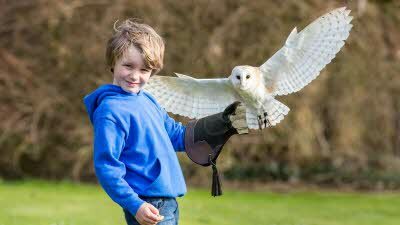 Our visitors have full access to the farmland totalling 12 acres to exercise dogs. 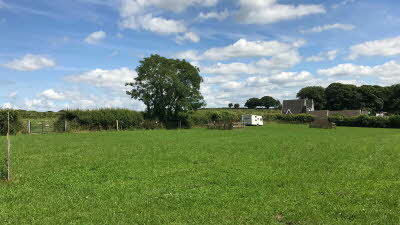 All pitches are surrounded by peaceful paddocks where our horses and sheep graze. There is a small orchard adjacent to the park and guests are welcome to sample the fruit. 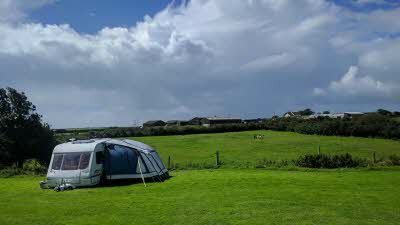 We operate all hardstanding pitches which are well maintained. Our site is special as we offer facilities which are commonly found on larger sites - such as with 16 amp electric hook- up, fresh water tap with screw fitting, satellite and terrestrial digital TV points and Free Superfast Wifi. 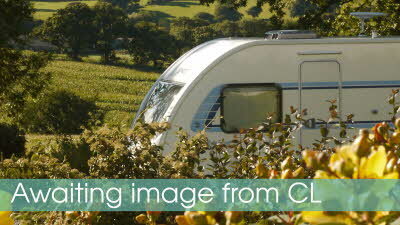 The site is an excellent base for exploring the vast attractions within the Pembrokeshire National Park. With over 950 km of public footpaths, walking is an excellent way to discover the spectacular scenery, abundant wildlife and fascinating history that Pembrokeshire offers. A sandy beach is 20 minutes’ walk away. There is a local shop and public house within 500m of the site. 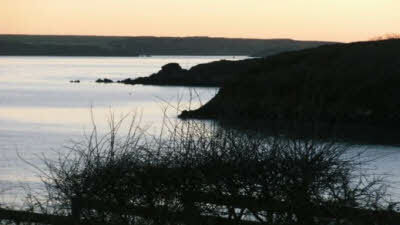 The site is in a perfect location for exploring the spectacular wildlife around the Pembrokeshire coastline. The coastal path is accessible by foot, which is a 10 minute walk from the site. The islands of Skomer, Grassholm, Ramsey and Skokholm will enable you to experience the incredible breath-taking sights of Puffins, Guillemots, Gannets and Razorbills, along with a host of other birds and wildlife including seals and dolphins. The local town of Milford Haven (2 miles away) has cafes, restaurants, smart shops, Leisure Centre with Swimming Pool, Theatre and two supermarkets. Milford Marina is located on the picturesque Milford Haven Waterway and has some stunning waters up river from the Marina. It benefits from a variety of shops, cafes and restaurants on the quayside as well as a Dockside Gallery, Museum and 10 pin bowling centre. Haverfordwest is an attractive and ancient town (7 miles away) which has a great variety of shops in the town and the outlying retail parks. Dominated by the Western Cleddau that runs through the middle of the town and the castle that towers above it. 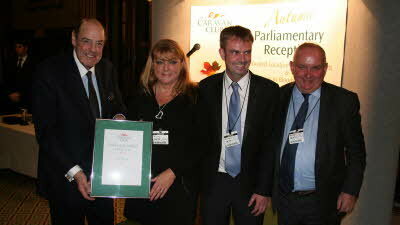 There are plenty of pubs, cafés and restaurants as well the award winning Farmers Market held every Friday. Produce includes fresh fish, crabs & lobster, organic meat and vegetables, artisan cheeses and traditional-recipe cakes. 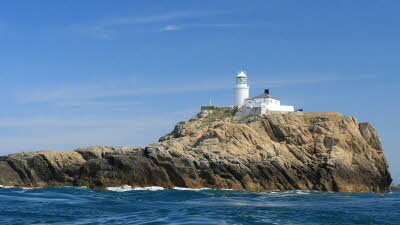 Nearby are also the historic seaside towns of Pembroke and Tenby – probably the most iconic seaside town in Wales. It was awarded a Silver award for the best UK coastal resort at the British Travel awards in 2014. 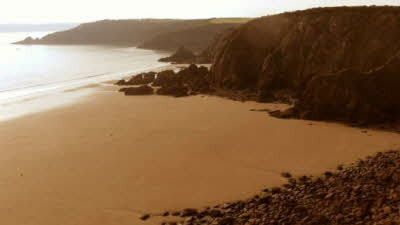 Further afield include the beauty spots of Little Haven, Broad Haven, Solva and Newgale which is rated as a top three location in Pembrokeshire for Windsurfing and Kayaking. The smallest city in Britain namely St. Davids has a Cathedral built from a local stone with a beautiful pink and grey colouring. It occupies the valley floor below the city and cannot be seen until you are fairly close! The site is on a bus route which gives visitors access to many of Pembrokeshire’s Villages and Towns, and the village also has a cycle path to our nearest town of Milford Haven. From here, you can access cycle path links to the National Cycle Routes. Adults, Children and pets are welcome. For further details of our site, please visit our Website, Facebook or Twitter. Excellent directions took us straight to the site, where we found a traffic cone with our name on it. The access was easy and we were soon parked up having a cuppa, reading through the information pack which was also on the cone. 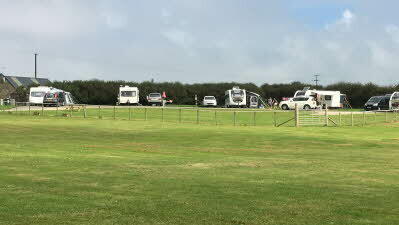 The pitches are not dissimilar to many Caravan Club pitches, hardstanding with grass in-between. We were able to pitch the awning on the grass, thus had room for the car next to the van. There is plenty of space for walking the dog off lead, but be aware that there are a couple of ponds!!! There are also interesting neighbours across the field, which Pippa our Golden Retriever thought to be very strange! 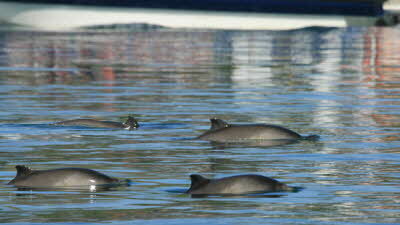 The location is ideal for exploring the area and the scenery and beaches are stunning. The walk to Sandy Haven took us about 30 minutes, an ideal distance for a walk and swim. The small shop has a few supplies (provisions and a few caravan necessities), which are sensibly priced. The local pub wasn't up to much - we were directed to the bar as Pippa was with us. The beer was ok, but the bar needs a good clean! Second visit in six months! Second review of this little gem of a site, grass in the fields kept so short, it is a joy to walk the dog, everything perfect as was on our last trip in May, had a good laugh with Sharon, the owner, made us very welcome indeed, and for those who do not know...Sharon , who runs a hairdressers and beauty salon, will gladly cut your hair, both male and female in her on site salon ! She did mine , and I was very pleased, so make sure you ask ! Recommended places to visit, Marloes, Martins Haven baby seals are a must to see sept/October. Bosherton lily ponds, Carew castle ...so much to see and this site is pretty central to it all! Fab place, best CL going. We’ve just returned home after our second visit to Woody Kiln Farm and we’ve already booked for next summer. CLs don’t get any better than this. 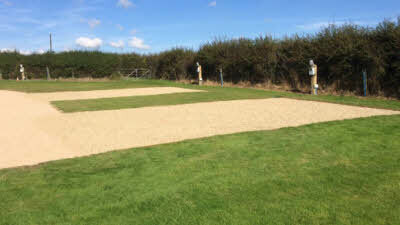 Fully serviced, hardstanding pitches with 16amp electric. No onsite toilets or showers, but the pitches are fabulous, level with plenty of space and grass. On arrival, your pitch is clearly marked, so just pitch up. Dean and/or Sharon will come and say hi as soon as they can, possibly with their daughter Erin. Such lovely people. Ann and Peter are also often around. Nothing is too much trouble. They provided a small freezer for our dog food which was a massive help. And the little honesty box run shop has basic supplies and some local produce There are three beautifully mown, large fields where dogs and children can play to their hearts content. There is a quirky local pub just 10 mins walk away, does food, but manage your expectations. It also runs the local shop and post office for additional supplies and papers. Milford Haven is just 5 mins away where you can get everything you need. A half hour walk will see you on the beach at Sandy Haven. Follow the coastal path. Again, fantastic for dogs and children. The beach is amazing and so much room. You can drive right down and on to the beach if you can’t do the walk. All of the beauties of Pembrokeshire are within your reach and it’s glorious. All the people are wonderfully friendly and we can’t wait to get back. Dean and Sharon deserve all the awards and accolades for what they’ve achieved here. We had a wonderful stay here in August 2018. 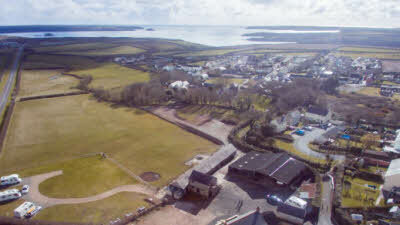 Great site with excellent facilities and ideal location for visiting beautiful Pembrokeshire. 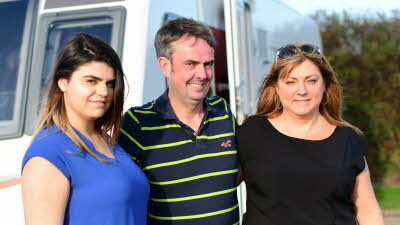 Owners could not have been more friendly and helpful. We will certainly be returning! We spent a lovely fortnight at this site and didn't want to come home! 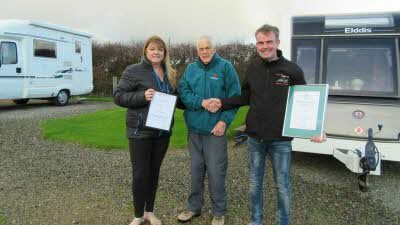 Owners were friendly and helpful, and keep a really well maintained site with access to three, huge mown fields which the dogs and children enjoyed running around in. Useful info pack on arrival which gives various routes to Sandy Haven beach - great location for rock pooling, crabbing from the bridge and swimming. Beach is dog friendly and clean, and the car park was never full. Site well is located for a walk to the local pub and playground, or a short drive to Milford Haven which had everything we needed (including gas!). We'll definitely be back. Congratulations to Woody Kiln Farm, voted Most Inspiring Photograph 2018 by Club members.